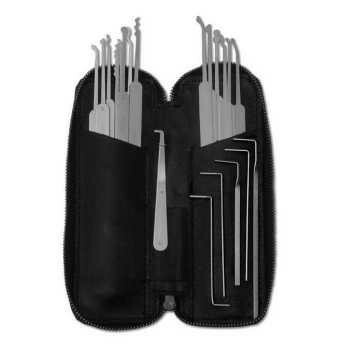 The newest in our line of lock picks, this is a fiberglass/polymer handle Jackknife Lock Pick Set. 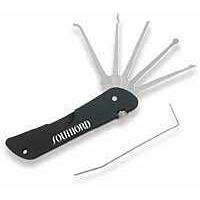 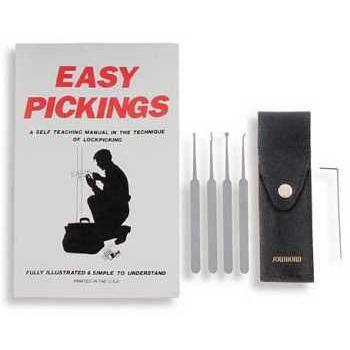 This little instruction book/lock pick set combination was designed for police officers and is capable of opening virtually all pin tumbler locks. 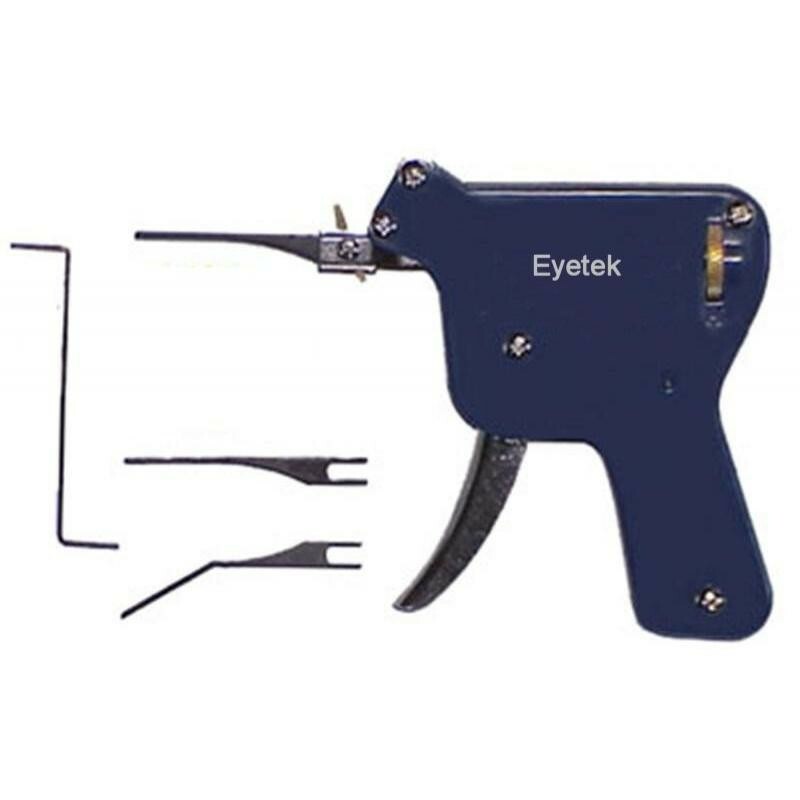 The snap gun was developed decades ago to allow police officers who were not skilled in the art of lock picking to open locks with minimal instruction. 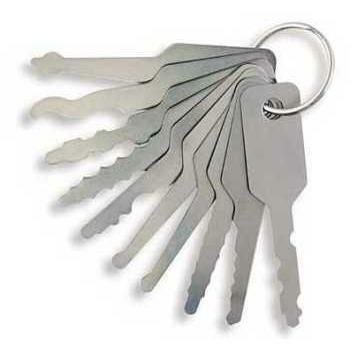 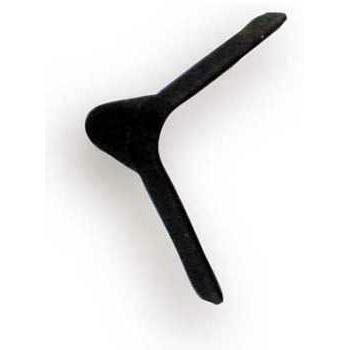 Made for European and Japanese locks, and U.S. locks with small or narrow keyways.